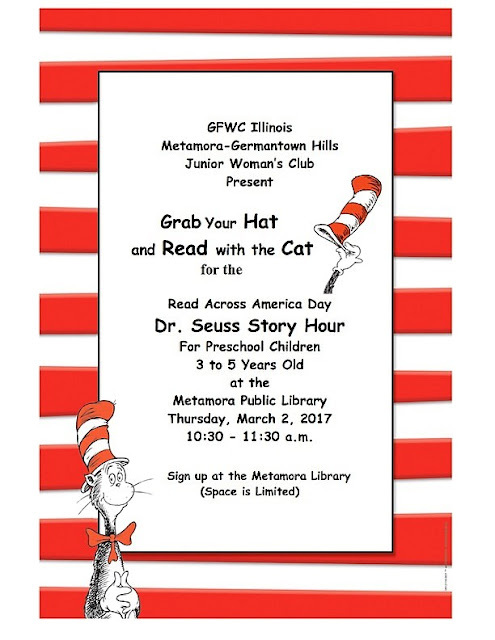 The GFWC Illinois Metamora-Germantown Hills Junior Woman’s Club will join millions of their peers across the country to celebrate the eighteenth annual Read Across America Day on March 2, 2017. Read Across America Day, which celebrates Dr. Seuss's birthday and the joys of reading, expects more than 45 million readers, both young and old, to pick up a book and read. To honor the good doctor and celebrate the fun and value of reading, the Metamora-Germantown Hills Junior Woman’s Club is asking you to join the National Education Association and many of America's leading literacy, youth, and civic groups in bringing a nation of readers together under one hat-the red and white stovepipe made famous by the Cat in the Hat-for a flurry (or furry) of reading excitement! The Metamora-Germantown Hills Junior Woman’s Club, Education Program, is sponsoring a Read Across America Day Dr. Seuss Story Hour on Thursday, May 2 for preschool children 3-5 years old. The story hour will be held at the Metamora Public Library from 10-11 a.m. There will be stories, a craft, and snack. There are limited spaces available so sign up at the library! If you have any questions, please contact Melissa Peters at 712-1540. Their goal is to show America's children the joy of reading and build a nation of readers-on March 2 and every day. Join in on the fun and share the joy of reading. 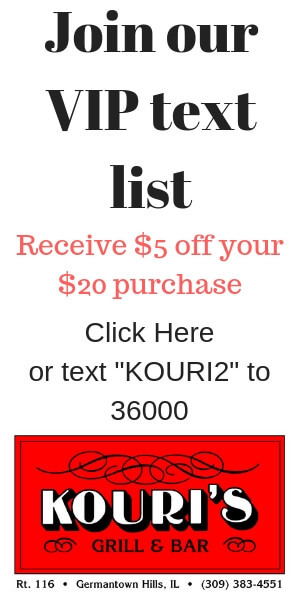 Sign up soon!